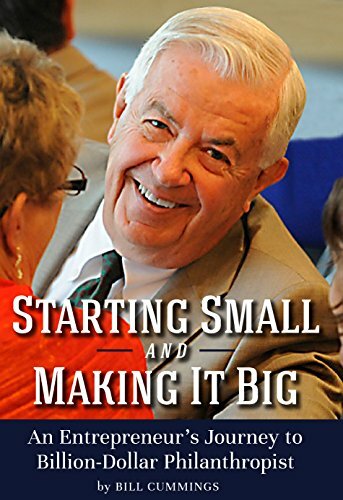 In his recently published memoir, “Starting Small and Making It Big: An Entrepreneur’s Journey to Billion-Dollar Philanthropist”, Bill Cummings shares his extraordinary story of success and generosity. Although Mr. Cummings came modest beginnings, his parents instilled in him the importance of charitable giving, “His father painted houses, raising a family in a one-bedroom apartment atop a liquor store and a taxi stand on the outskirts of Boston. Bill’s mother was a neighborhood fixture, building friendships as she knocked on doors to collect coins for large charities that once operated that way.” Learn more at www.cummings.com/book. Indeed, Mr. Cummings’ generosity has been vast, and includes the Cummings Foundation’s “$100K for 100” program, which awards grants of $100,000 to 100 local nonprofits. In 2017, Wellspring was a proud recipient of the $100K for 100 grant.